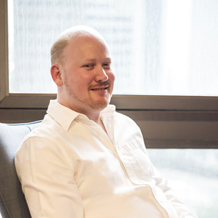 Originally from Perth, Western Australia, Graham has worked in the travel industry since 2002 in Perth, Singapore, Jakarta, and again in Singapore since mid 2015. Graham started out his career in Perth for Tourism Western Australia in the digital marketing team before relocating to Singapore to join OctopusTravel. He then moved to Yahoo! running Yahoo! Travel in Southeast Asia including new launches in Philippines and Indonesia. In early 2011 Graham joined Wego to launch their Indonesia business including opening the Jakarta office where he lived from 2012 to mid 2015 followed by stints as Chief Product Officer and Chief Commercial Officer in Wego’s Singapore head office. Graham is now making the exciting move into the experiences sector joining BeMyGuest as Chief Commercial Officer based in Singapore. WIT 2017 is his first week with BeMyGuest!